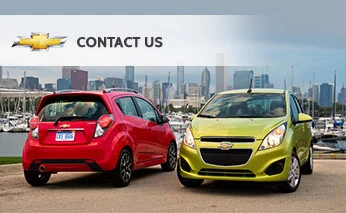 Contacting us here at Seth Wadley Chevrolet is simple, fast, and easy. We have a wide variety of ways you can reach out to us and we encourage you to do so for any reason that you may have. Whether you need some information on one of our quality new or pre-owned vehicles in Pauls Valley, directions to one of our dealerships, or you need parts, we are here to assist you in any way that we can. In most cases, the forms on our website can be used for just about everything you may need. Our simple quote form will allow you to get the price of any one of our vehicles, new or used, simply, quickly, and without any headaches. You can use our service scheduling form if you need to bring your vehicle in for repair or scheduled maintenance. Our parts ordering form will allow you to get the quality OEM part that you might need. We have streamlined forms for just about anything, but if you do not know what you need exactly, cannot find the correct form, or simply do not have time to click around on our site, then you can always give us a call, or even shoot us an email. One of our professional and courteous staff memebers will be happy to assist you and make sure your query gets to the correct department. We are committed to being the best dealership in Pauls Valley and we believe that starts and ends with you, the customer. We will always put your needs first and to do so, we need to make sure that you can get a hold of us for any reason. A great business relationship starts and ends with good communication, which is why we make it so easy to get a hold of us; we want a great business relationship with you. In almost all cases, your emails and submitted online forms are replied to the same day, as we have a team of staff monitoring our online contact at all times. If for any reason you need a faster reply or it seems simpler to talk to someone in person, please do not hesitate to give us a call, stop in, or send us another message. We apologize for any time you do have to wait and we do our best to make that wait time as short as possible. If there is anything we can do to improve upon our service to you, please do not hesitate to let us know. Customer satisfaction is our top priority and we value receive feedback from you, our customer. So, whether you fill out a form, type up an email, or pick up the phone, know that you are contacting an auto dealer that cares. Seth Wadley Chevrolet is the number-one car and truck dealer in the greater Oklahoma City area because we put the customer first.